3 star hotel in Djerba | Djerba: Info, Maps, Photos, Hotels, Attractions, Restaurants, Excursions, Walks at sea, Quad .. The 3 stars hotels in Djerba provide an average satisfactory quality of service. If we know to choose the right host in this category, we have a good chance to have a very good value for money. We offer a selection of cheap deals negotiated directly near schools. Jerba Sun is a resort located 10 minutes from Houmt Souk and offers direct access to a private beach. The tennis courts, spa and pools are among the facilities available. 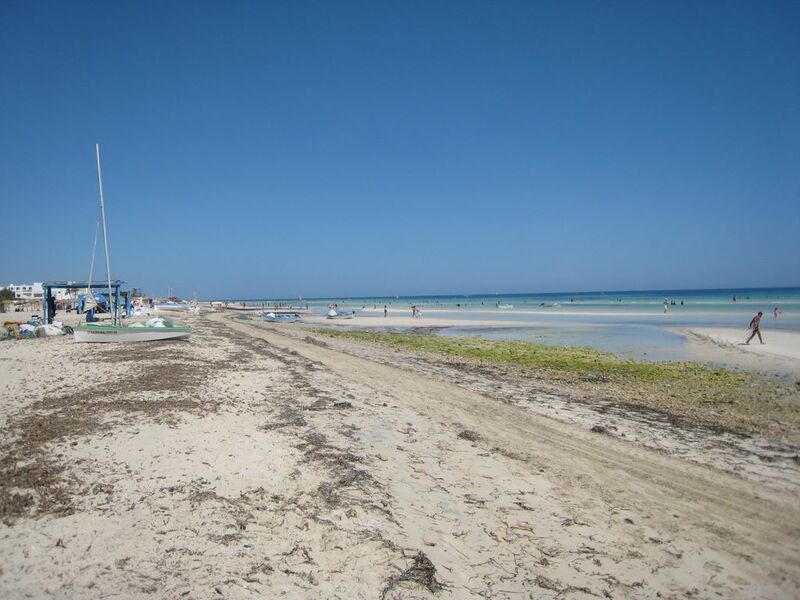 Flamingo Beach 3 star hotel is located directly on the beach of Sidi Mahrez, on the north east coast of Djerba. A 20 km from the airport, 7 km from the golf course, casino 2 km and km 10 Houmt Essouk chief town of the island. Club Calimera Yati Beach is ideally located directly on the kilometer long, wide, sandy beach and is known for excellent water sports. A nice little hotel in 10 km from Houmet Souk, on the beach of Sidi Mehrez, and 20 km from the airport. Club Med Djerba la Douce is located on the east coast, 28 km from Houmt Souk. The transfer between the Club and the airport takes between 40 and 45 minutes (38 km). Small family friendly club, Ksar Djerba offers holidays at low cost. If the rooms have only the bare minimum (television and mini bar for hire), nothing is missing in outside to pleasantly fill his days: small spa therapy center, kids club, various sports activities and varied entertainment and swimming pool equipped small slides! Recommended for the tightest budgets. The Miramar Petit Palais DJERBA 3 star, is a small hotel with a warm atmosphere, relaxing. sophisticated comfort, service quality and beautiful swimming pool with solarium. The resort Four Seasons has three hotels. At each institution, its dedicated customer. There is something for everyone and for every budget. A 13 km from houmet souk and 200 meters from one of the most beautiful beaches of the island. Hotel Djerba Haroun is located in a small oasis bordering the sea, offering a pleasant stay and spa and offers modern comforts in a Moorish style. The hotel is located in the tourist area of ​​Sidi Mehrez Djerba-Tunisia, 15 Min International Airport Djerba-Zarzis, in 5 Km Grand Golf Djerba and 300 m from a beautiful beach. Along the East Coast on a white sand beach in the immense palm grove bordering the bay, are the bungalows of Club Med Djerba la faithful, whitewashed, in accordance with the usual Mediterranean - blend perfectly with the decor and kept their hut-like feel with their thatched roofs.